Jacqueline Denise Ray was born in Sheffield, Alabama. Growing up, J. Denise knew the hand of God was upon her life and at the age of sixteen she accepted the call to preach the gospel of Jesus Christ. For twenty-seven years, J. Denise served tirelessly and diligently with her mother, Dr. Angie Ray, (founder of Angie Ray Ministries; “Church on the Rock”) in the ministry of deliverance. Her devotion and commitment to prayer has equipped her with insightful revelation to minister and pray for countless youth, married couples, men of God, pastors and leaders in the five-fold ministry across this country. 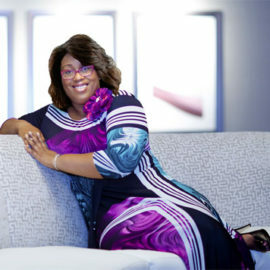 J. Denise has appeared numerous times on an international televised program “A Time of Intercession,” which airs on The Word Network and Total Living Network stations, reaching 140 countries and over 87 million homes. She has been sought out by many celebrities because of the love of God and her non-compromising stance for holiness and deliverance. 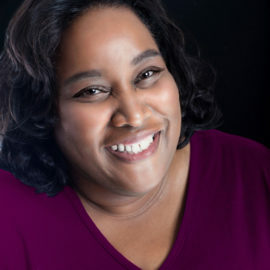 J. Denise has a Bachelor of Arts Degree in Divinity and Theology, a Bachelor of Arts Degree in Sociology and Psychology as well as a Doctorate of Divinity Degree. She is also an accomplished author and entrepreneur. Throughout her life, she has been continually thrust in leadership positions. J. Denise has been the Event Planner, Fundraiser Coordinator, and Youth Pastor of Angie Ray Ministries. 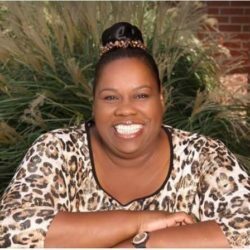 Currently, J. Denise is the Assistant Pastor of Angie Ray Ministries; Church on the Rock, Chief Operating Officer of ARM Storehouse, Inc. and an International Chaplain of Prison Ministry. J. Denise is an anointed prayer warrior, deliverance worker, intercessor, teacher, preacher, and worshipper who was called back from the dead by the late Dr. Angie Ray. She now stands strong with her three sisters, Pastor Kimberly Ray, Evangelist Cheryl Ray, and Evangelist Tanya Ray, to continue the fulfilling legacy of holiness inspired by their late mother. J. Denise recognizes that it is no longer the I but the Christ on the inside. She wants you to remember her as God’s Servant and that Jesus loves you and loves you too.